A lineup of some of the most famous cars restyled at Drag-N-Shop. Photo by Micael Romero. A 1949 Chevrolet under progress at the Drag-N-Shop in 2006. Photo by Michael Romero. A 1951 Mercury recently chopped by the Drag-N-Shop in 2006. Photo by Michael Romero. New taillights being built for the 1951 Mercury above. Photo by Michael Romero. A chopped 1929 Ford Model A Tudor at the shop in 2006. Photo by Michael Romero. A 1932 Plymouth Coupe receiving a top chop at the shop in 2006. Photo by Michael Romero. A frontend restyled by Joe. Photo by Michael Romero. A photo from the 2006 Drag-N-Shop Open House BBQ held June 10, 2006. Photo by Michael Romero. The Plymouth and the tudor as they appeared at the Open House BBQ. Photo by Michael Romero. One of the bands playing at the 2006 Open House BBQ. Photo by Michael Romero. David Garcia and Larry Watson at the 2006 BBQ. Photo by Michael Romero. Ron Gomez' 1941 Buick. Photo by Micael Romero. A '50 or '51 Chevrolet by Drag-N-Shop. Photo by Michael Romero. Joseph Garcia's 1951 Ford. Photo by Micael Romero. Marty Wells' 1951 Ford was chopped by Joseph Garcia. Joe did also create a centre console for the car that flows from the dashboard to the rear seats. Photo by Micael Romero. Chris Gomez' 1951 Kaiser. Photo by Micael Romero. Rick Landy's 1953 Buick. Photo by Micael Romero. Drag-N-Shop reworked the frontend on Paulie Olvidalo's 1954 Chevrolet Pickup. Photo by Micael Romero. Juan Lavanos' 1956 Ford Pickup Truck. Photo by Micael Romero. Joseph did all of the body mods on this Ford. Joseph did the body and frame on Bob's 1952 Chevrolet. Another photo of Bob's Chevrolet. A Mercury Joseph did all the metalwork on. 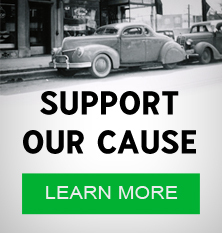 A 1941 Pontiac Joseph is building for Johnny from the Ink Shop. 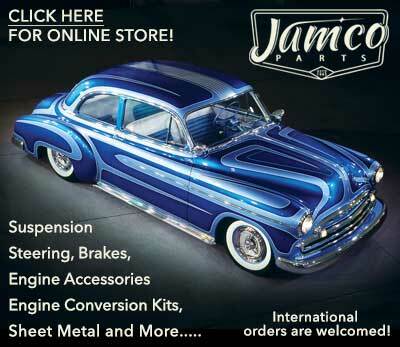 A clone of Jesse Lopez' 1941 Ford coupe that Joseph is building for a customer. An under progress shot of a 1940 Cadillac coupe that Joseph built for a customer named Leo. Leo's Cadillac after it had received a glossy black paint job. A 1937 Nash Joseph is building for a customer named Mike. Mike's Nash has been fit with a 1936 Graham front. An under progress photo of Ron Gomez' 1939 Packard. Drag-N-Shop is a custom body shop run and operated by the father and son duo David and Joseph Garcia. David's other son, David Anthony Garcia is a pinstriper and designer operating D.A. Designs. In 2006, The Drag-N-Shop was located at 8205 Secura Way in Santa Fe Springs, California. By 2013 it had been moved to 4410 Danny Ave. in Cypress, California. ↑ 1.00 1.01 1.02 1.03 1.04 1.05 1.06 1.07 1.08 1.09 1.10 1.11 1.12 1.13 1.14 The HAMB - anybody have some pics of this incredible 49 chevy? 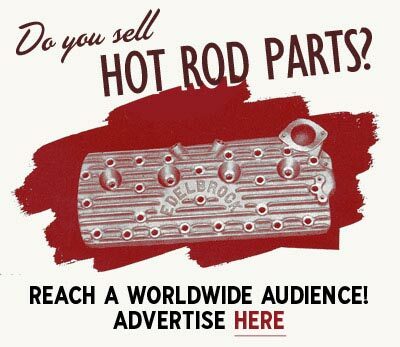 Subscribe to our newsletter and receive updates on Drag-N-Shop and other subjects featured on Kustomrama. 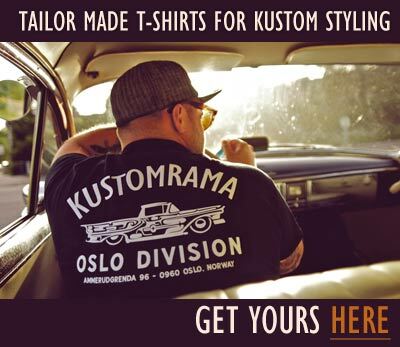 If you have additional information, photos, feedback or corrections about Drag-N-Shop, please get in touch with Kustomrama at: mail@kustomrama.com. This page was last edited on 19 May 2015, at 11:19.